Analytics firm Absolutdata has released a cloud-based, automated decision support tool for concept testing, NAVIK, which it says will allow researchers, brand managers and product managers to go to market with new ideas 'faster than ever before'. NAVIK Concept Test uses advanced analytics and comprehensive, customizable option selection to guide users through research design, and delivers a clear 'Go' or 'No Go' for potential product, packaging, pricing and promotional ideas, according to the company. Concepts to be tested are uploaded using images, video, text or audio; business goals and KPIs set; and a survey target group defined, with panelists either supplied by the user or by recommended partner companies. Users can track real-time results via the Field Status dashboard. Set-up takes 'a couple of hours' with delivery of results around two weeks later. For concepts seen as potentially successful, users can 'deep dive' into the analysis and rationale behind the decision including pie charts, bar graphs, and word clouds, exportable to a variety of presentation and document formats. 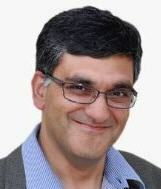 CEO Dr. Anil Kaul (pictured) says the tool allows 'a highly customized test specific to the individual business case', and comments: 'Absolutdata has more than a decade of experience in this area, and NAVIK Concept Test puts the power of that expertise directly into the hands of researchers, brand managers and product managers'.